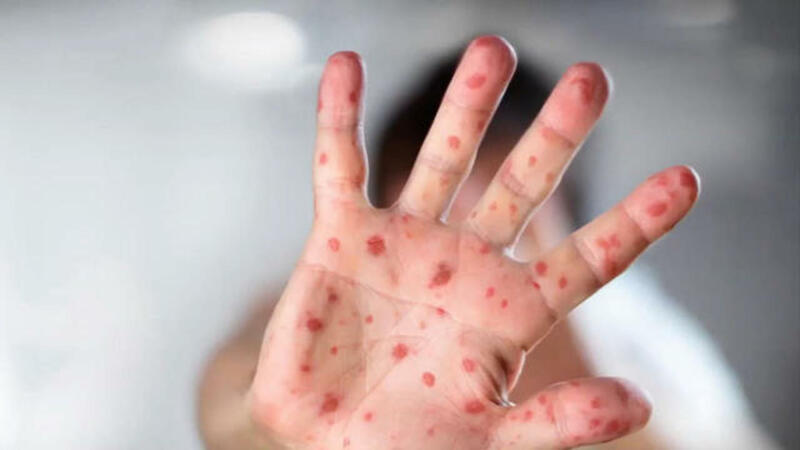 Portland — The measles outbreak that prompted a health emergency in Washington state is spreading. At least 36 cases have been confirmed in Clark County across from Portland, Oregon and health officials said it has now spread to Hawaii. Most of the patients are children who have not been vaccinated. Abigail Eckhart is one parent who is refusing to vaccinate her youngest son because she said her middle child suffered severe reactions. She blames the shots, even though the U.S. Centers for Disease Control and Prevention insists the vaccine is safe. "I think that they're not like really doing the studies like they should be," Eckhart said. The measles virus is spread through the air and lingers for hours. If one sick child coughs in a room and leaves, another unvaccinated person has a 90 percent chance of catching the illness. Parents with infected children are being told to avoid public places, even doctor's offices and Washington Gov. Jay Inslee has declared a state of emergency. "We're asking people actually to be diagnosed in their homes and not actually go to the doctor's office because that can infect people in the office," Inslee said. Washington is one of 18 states that allows parents to decide not to vaccinate their children due to moral, personal, or other beliefs. Eckhart said she doesn't think there's anything that would change her mind to vaccinate her child. "I think that we pretty much made up our mind about our kids in the way we are raising them and that's our right as parents," she said. Thousands have been exposed when those sick with measles have shown up in public places like where the Portland Trailblazers play. Public health experts said the science does not back up the claims made by anti-vaccination groups and some describe these outbreaks as self-inflicted wounds in communities where they pop up. Washington state has introduced legislation that would no longer allow a personal exemption but that is in the early stages.